It’s time for a new chapter! 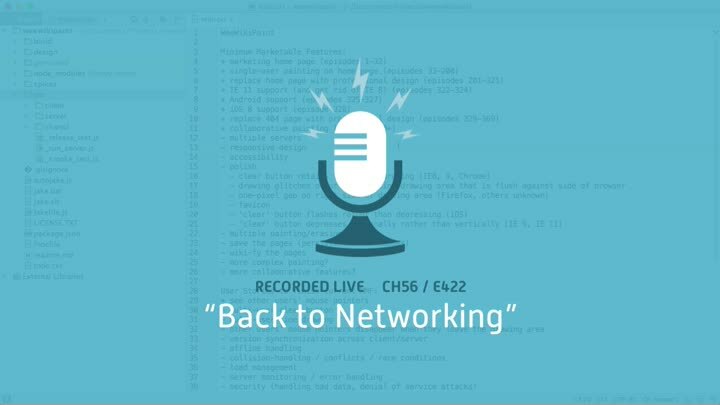 In this chapter, we’re returning to our real-time networking work. We have code to send events from the client to the server, and server-side code to broadcast events back to clients. Now we need our client code to listen for those events so it can display other users’ mouse pointers. We review our existing code and start making plans.